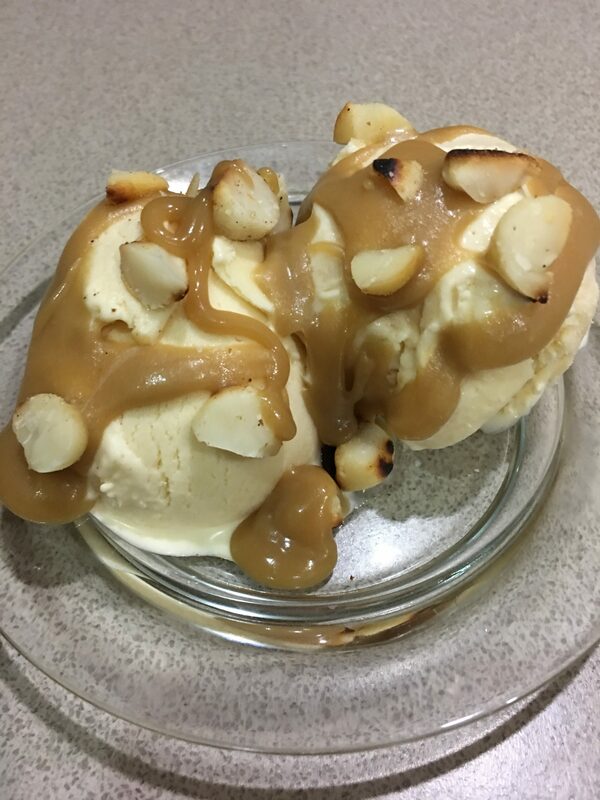 I was inspired to create this recipe after eating nut ice cream with caramel sauce at Pomegranate Restaurant in Canberra. Ice cream made with glucose (corn) syrup is alleged to be softer and smoother, so I decided to see if it was true. It was one of the best vanilla ice creams I have made with a very smooth and creamy texture. I didn’t use an ice cream machine but you can if you prefer. Place eggs, sugar, glucose/corn syrup, cream and evaporated milk in a heavy-based saucepan and mix well with a balloon whisk. Place over medium-low heat and cook, whisking constantly until you have a custard which coats the back of a spoon. Be careful it doesn’t burn or get too hot. Mix the arrowroot with 1 tablespoonful of water and mix into the custard with the vanilla and salt. Remove from the heat and pour through a fine sieve. Cool then chill in the fridge for several hours or overnight. Whip the extra cream until soft peaks form and fold into the chilled custard. Churn ice cream in an ice cream machine according to manufacturer’s instructions, then scrape into a container and store in the freezer. If you don’t have an ice cream machine, pour into a shallow container and freeze until almost frozen but not rock hard, scrape into a food processor and process very briefly till smooth, then freeze again. Caramel Sauce: place cream, brown sugar and butter in a saucepan and heat over moderate heat, stirring till dissolved. Allow to simmer for about 3 minutes then cool and serve at room temperature. Remove ice cream from freezer and place in the fridge for 15-20 mins before serving, to make it easier to scoop. 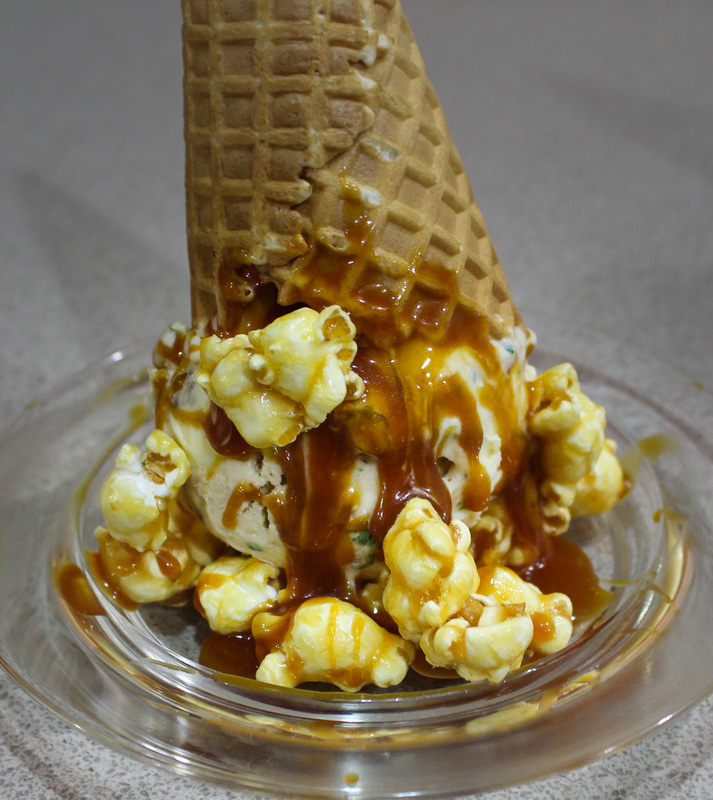 Serve the ice cream with the toffee sauce and the toasted macadamia nuts. use 3 cups cream and omit the evaporated milk. use 8 egg yolks instead of 4 whole eggs. This makes the ice cream richer. If preferred, fold the toasted nuts into the ice cream when you mix in the whipped cream. 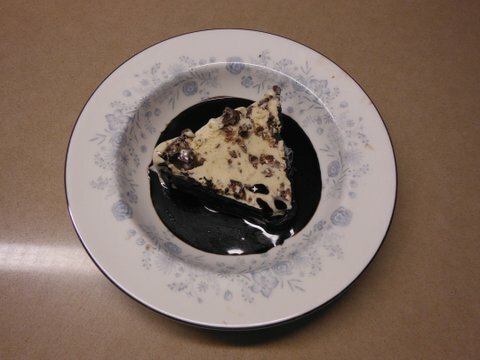 This entry was posted in Recipes and tagged dessert, easy, family, ice cream, party food, summer by Linda Peek. Bookmark the permalink.